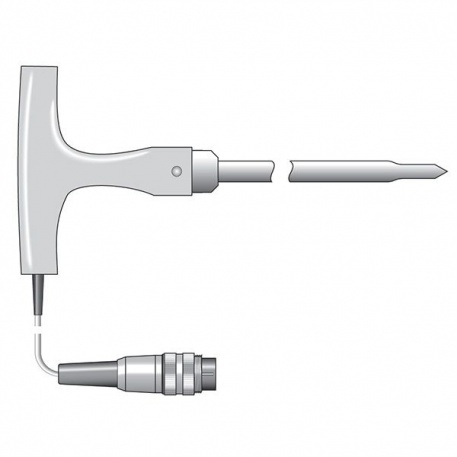 Heavy Duty T-shaped NTC penetration probe incorporating a heavy duty, T-shaped polypropylene handle and a reduced sensing tip for faster response. 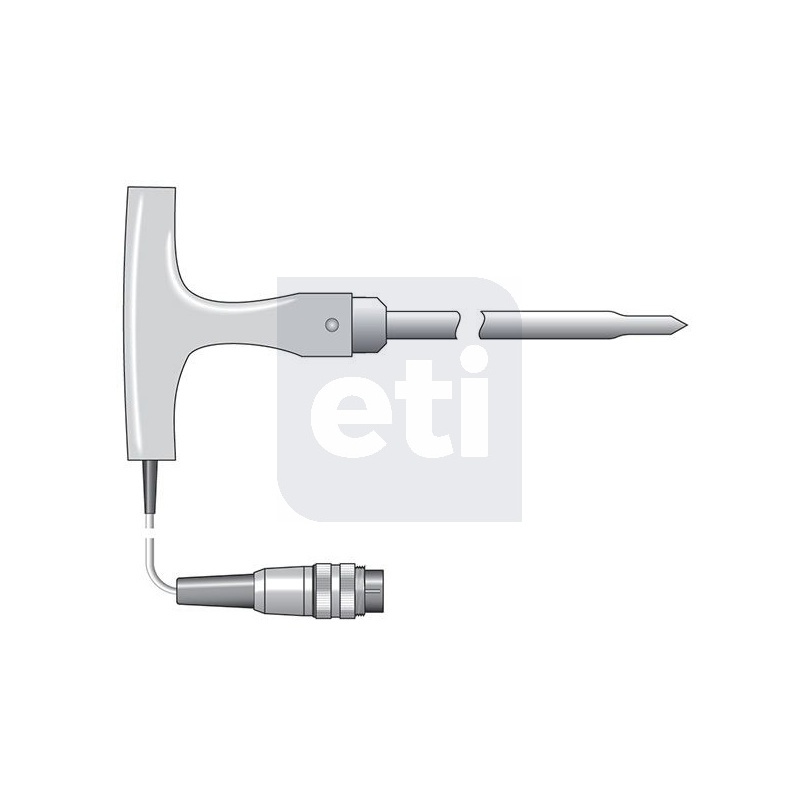 This strong and durable temperature probe is suitable for a wide variety of heavy duty, general purpose industrial or food processing applications. Probe temperature range -40 to 150°C with a response time of less than 15 seconds. Probe dimensions are Ø9.5 x 1000mm. Suitable for use with the Therma 20, 22, Therma 20 Plus, 22 Plus & 8100 Plus. Thermometers, hygrometers & analytical instruments from the UK's largest thermometer manufacturer.